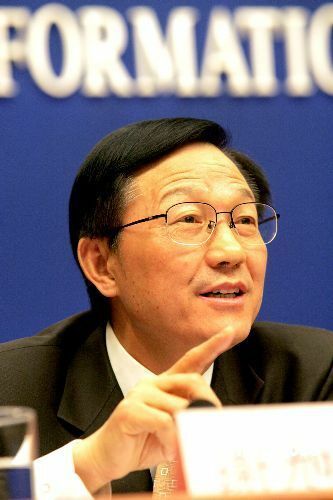 Finance Minister Xie Xuren Sunday warned of a "rising trend of trade protectionism in the United States" that may do "serious harm" to Sino-US economic and trade ties. Xie expressed concern at more than 50 legislative bills related to US economic and trade ties with China proposed by some members of the Congress since the beginning of this year. "If passed, they (the bills) would do serious harm to China-US economic and trade cooperation, and hurt the interests of the United States itself in the end," he told China Daily. The minister called on both sides to address issues through "dialogue and consultation" to safeguard "the mutually beneficial economic and trade relations". "I believe cooperation still remains the mainstay in China-US economic and trade relations," he said. Xie made the remarks on the eve of the Third China-US Strategic Economic Dialogue (SED), which is slated to start on Wednesday in Beijing. It is an annual meeting to ease frictions and problems in trade affairs and will be attended by a raft of high-profile officials from both sides. A delegation consisting of nine Cabinet-level officials headed by US Treasury Secretary Henry Paulson will interact with a Chinese team led by Vice-Premier Wu Yi and many ministers, Xie said. US Secretary of Commerce Carlos Gutierrez and Secretary of Health and Human Services Michael Leavitt are among the US delegation. "Both the governments attach great importance to the role of the dialogue in advancing bilateral business ties and even overall relations," Xie said. "This in itself makes clear that the economies of the two countries are closely interconnected," he said. Xie said the two sides have agreed on the theme for this year: "Seizing Opportunities of Economic Globalization and Dealing with Challenges of Economic Globalization". The dialogue will focus on six topics: Working together to meet the challenges of globalization, strengthening the integrity of trade, balancing economic development, managing the economic impact of energy choices, environment stability and advancing bilateral investment. China and the United States are each other's second-largest trading partners. Figures from Chinese Customs show that bilateral trade volume reached US$248.19 billion in the first 10 months this year, up 15.7 percent year-on-year. The two sides posted a record-high trade volume of US$262.68 billion last year. "As two large economies, it is natural for China and the United States to have some differences and frictions in the course of rapid development of economic cooperation and trade," he said. "It is, therefore, important for both sides to embrace the spirit of win-win cooperation and common development, and properly resolve the differences through sincere dialogue and consultation on an equal footing."